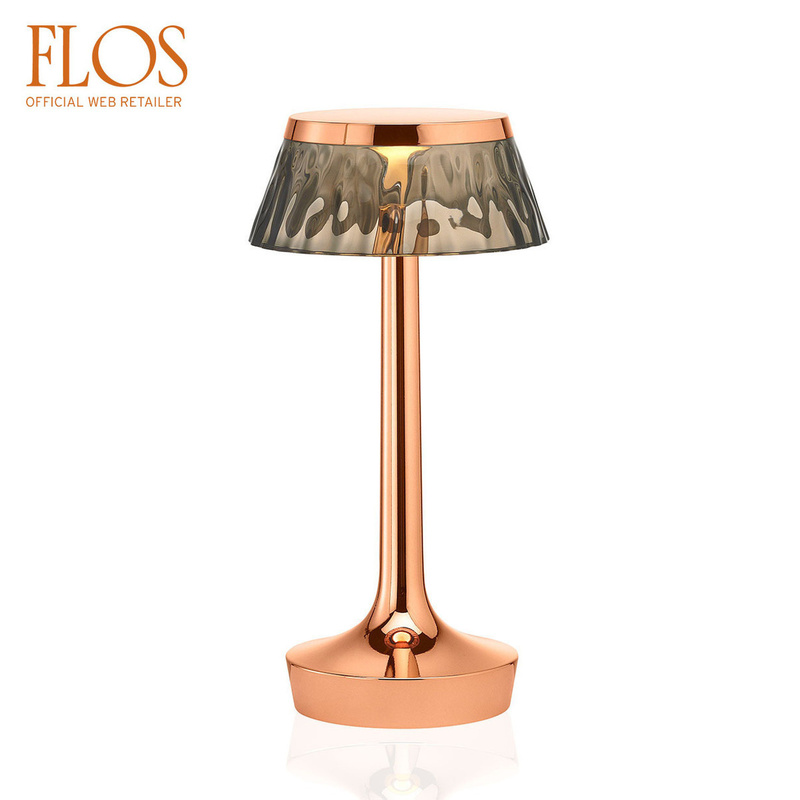 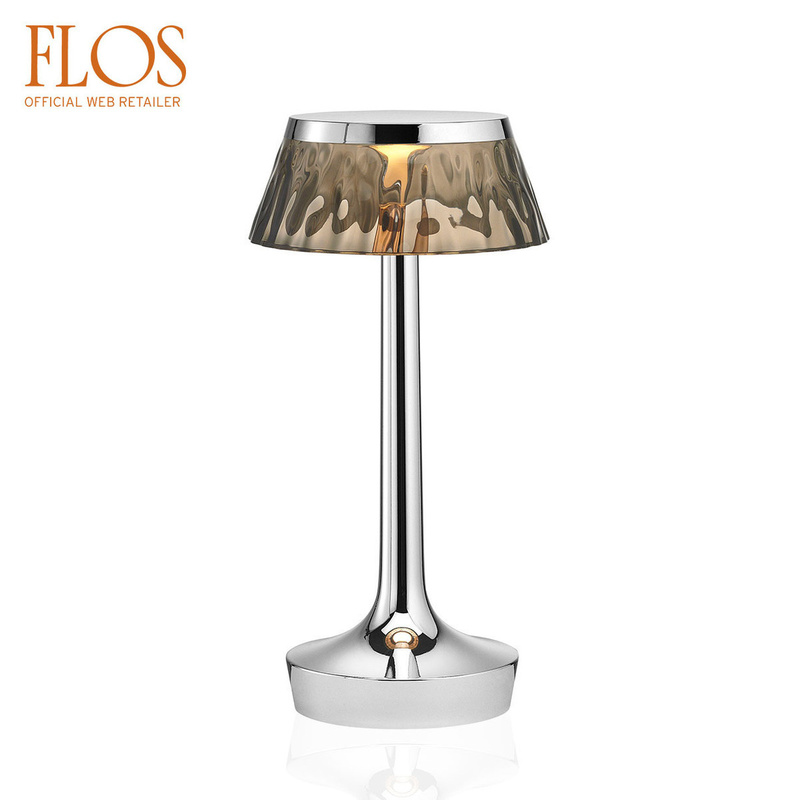 The crown lampshade in this smoky grey or amber version is an integral part of the design of the BON JOUR UNPLUGGED table lamp, the first wireless model from the BON JOUR collection and is designed by Philippe Starck for Flos. What with all the various colours available for the lamp and matching crown lampshades, the BON JOUR UNPLUGGED allows for double customization that makes all Starck collection products stand out. 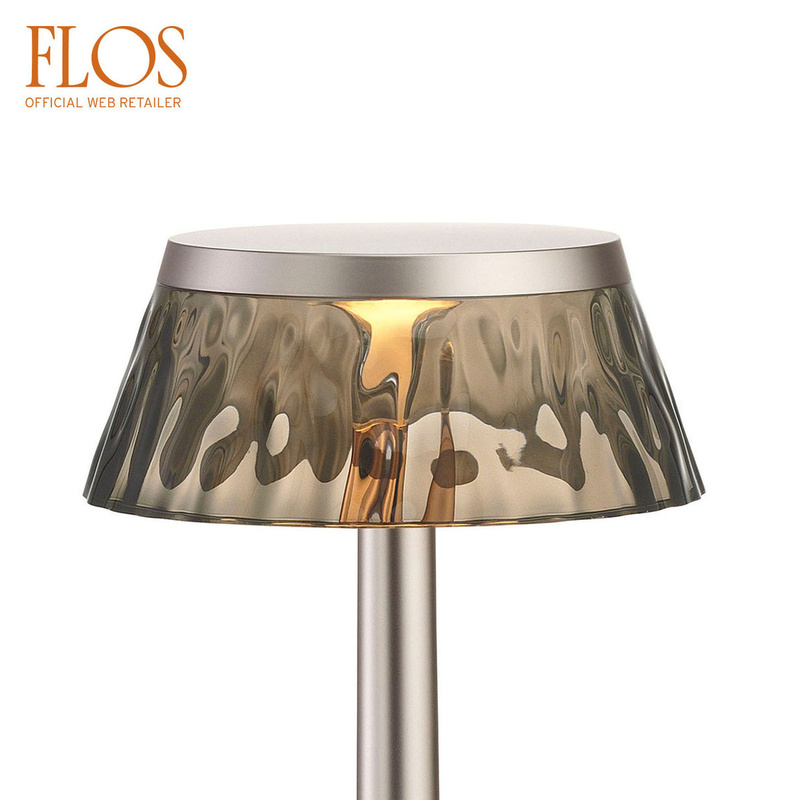 The BON JOUR UNPLUGGED crown lampshades are the finishing touch in customizing the new-age table lamp by Starck and Flos with a modern edge. The amber or smoky grey versions, made of injected plastic, were created to bring to mind the sprit of classic vintage glass of yesteryear. 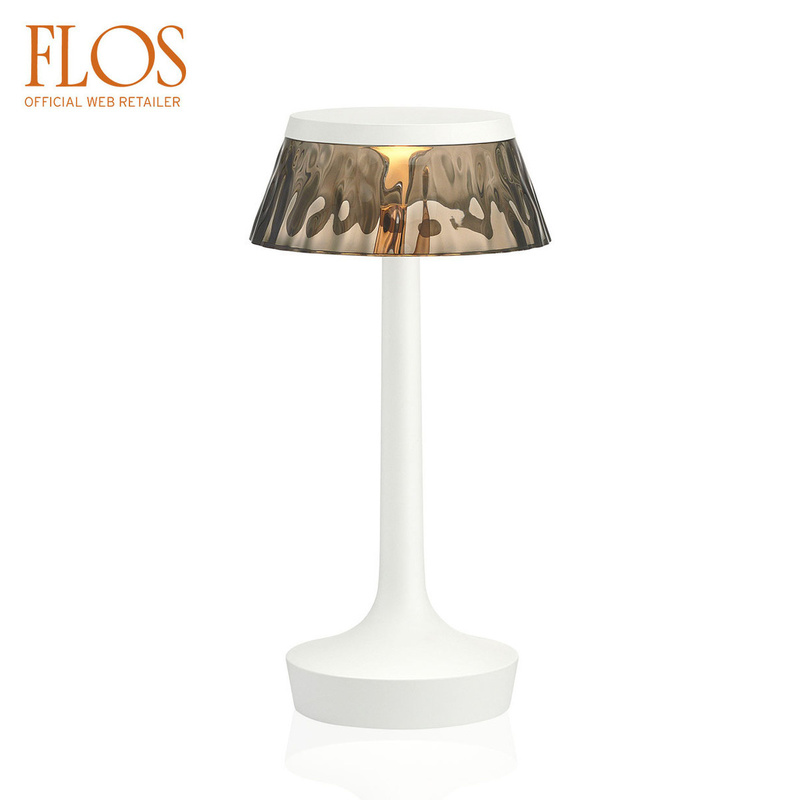 You can personalize your BON JOUR UNPLUGGED in two easy steps. 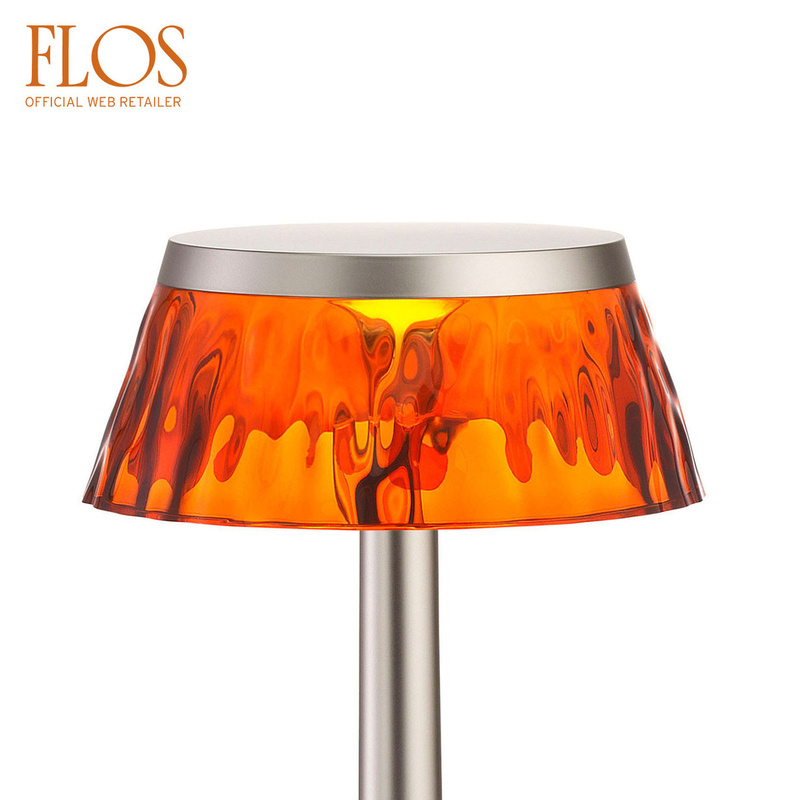 Once you've chosen the lamp model, available in white, matte white or chrome and copper, you can then combine one of the lampshade crowns (sold separately) designed by Starck with four finishes and materials: see-through and essential, yellow and futuristic, or two plastic versions with amber or smoky grey that simulate the spirit of classic vintage glass. 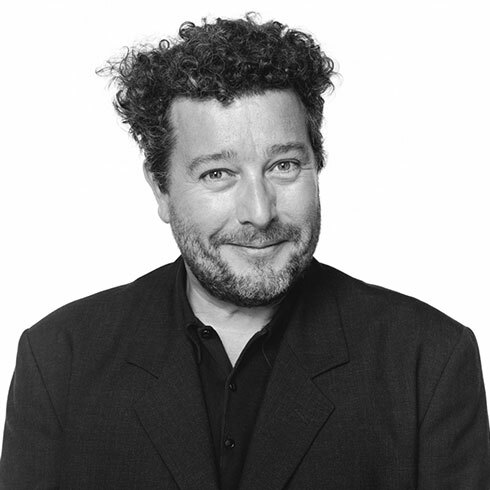 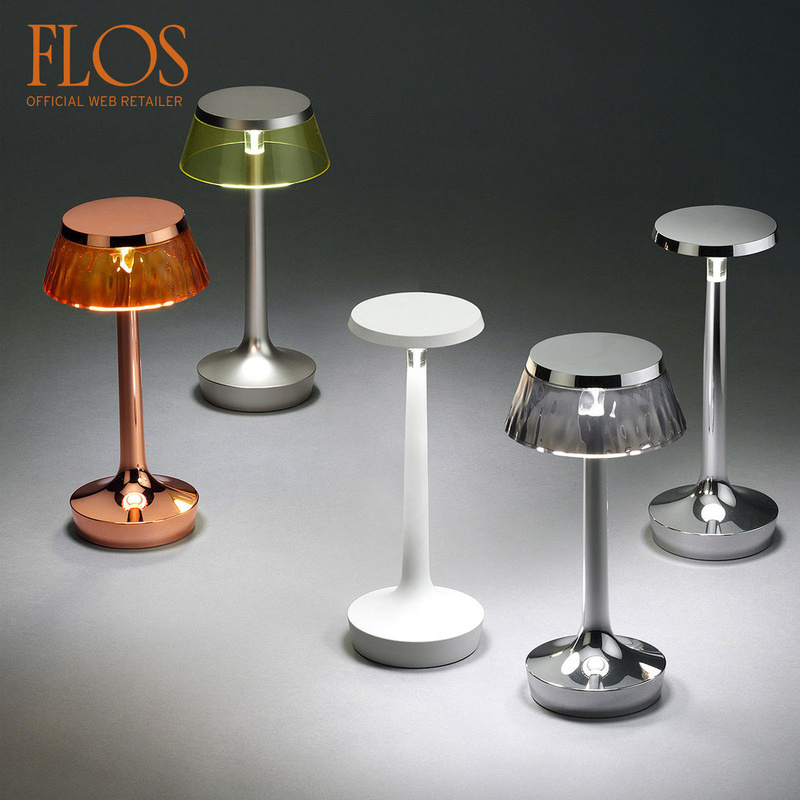 "BON JOUR is a collection of matching lights which explores the timeless elegance of high-tech dematerialisation combined with the freedom of expression of personal creativity" says Philippe Starck, explaining the inspiration behind the creation of this lamp collection by Flos.